Having previously worked with Adrian Hodge from Hodgeman Web & Design, I had no hesitation in contacting him to redevelop the website of the business I had just purchased. It only took one meeting with Adrian for him to understand what I was wanting to do with the site. He was able to make some necessary appearance changes very quickly and then over a relatively short period of time redesigned the look and feel of the website. Feedback and comments to date have been very positive and this is testament to Adrian’s skill and ability. Most importantly, Hodgeman Web & Design is very competively priced and definitely value for money. 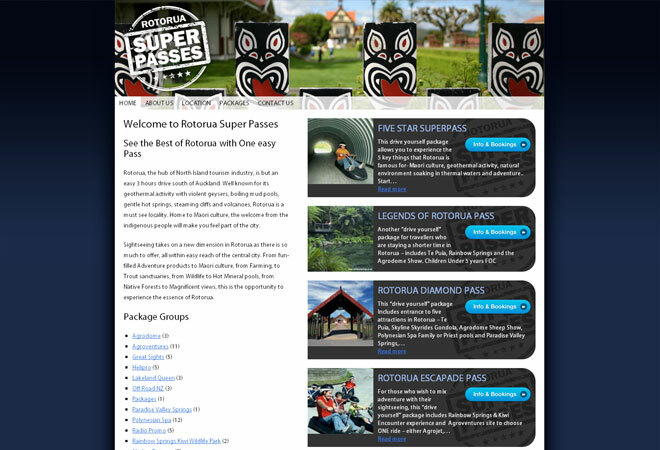 Don approached us for a professional yet simple & easy to administer website, that would better promote his Rotorua travel packages. We created this WordPress theme to complement his new ‘stamp’ branding. Packages are linked to an integrated online BookIt booking process to allow users to simply book any of the packages online in real-time. We used custom fields to support the BookIt booking URL, which is quick and easy to add to any package. 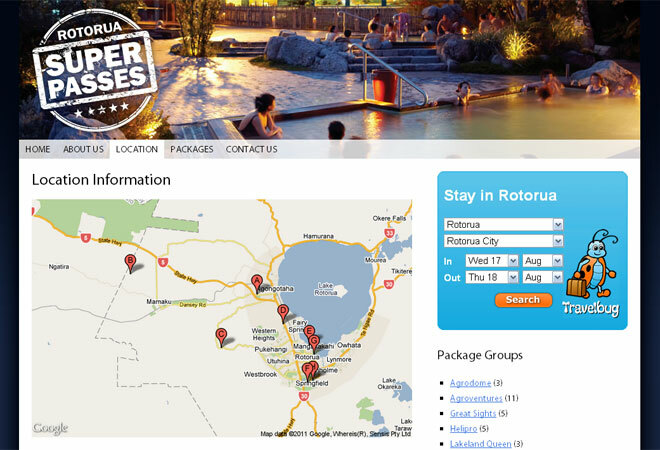 We’ve also displayed a TravelBug accommodation search widget to allow users to search for and book accommodation anywhere in New Zealand.